Ovarian cancer is a complex disease. Cell types, stages, and genetics play an important role for patients and their doctors as they decide which direction to take. Fortunately, patients today have many treatment options and new advances on the horizon. Physician-scientists at the Susan F. Smith Center for Women’s Cancers are leading the way in studying targeted treatments for ovarian cancer, including PARP inhibitors, and finding new ways of combining drugs. 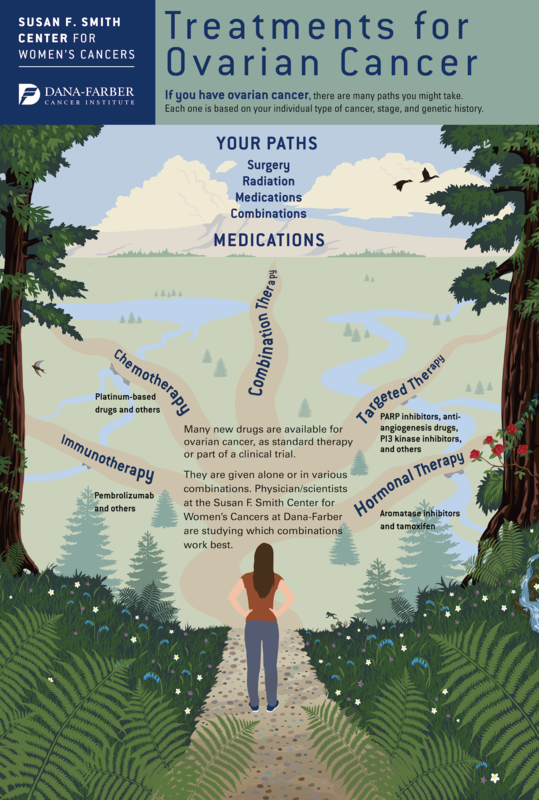 As September marks Ovarian Cancer Awareness Month, see the infographic below to learn more about the many treatment paths an ovarian cancer patient can choose from.